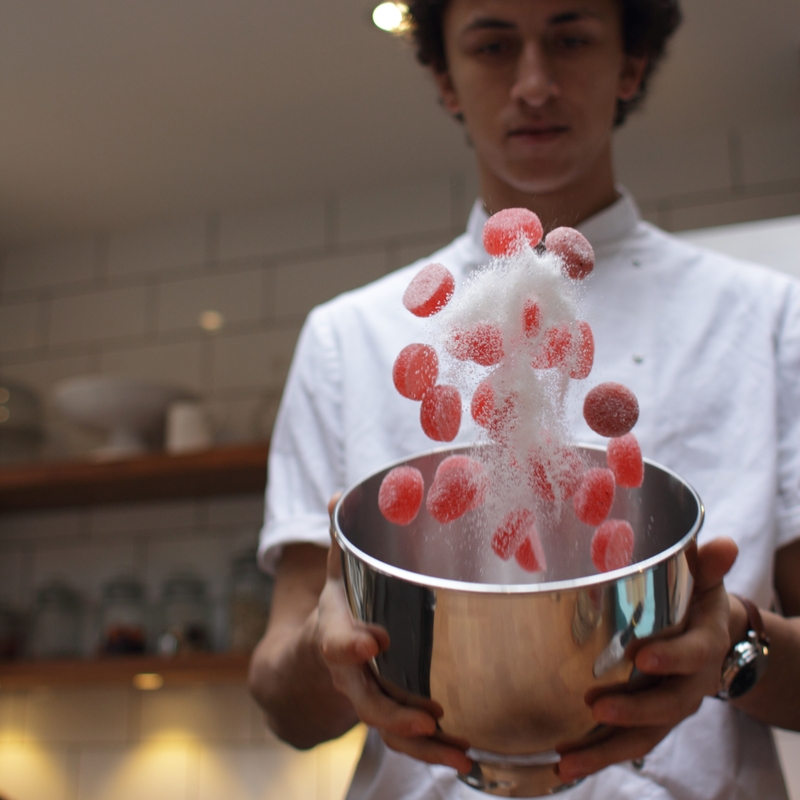 Emile from Smith & Sinclair combining the best things in life: sweets, alcohol and playing with food. Confirm the order as quickly as possible (always within 1 working day) so that your customer is assured you can fulfil it. Find the order in your orders list and update the order status to Processing. If you find the customer has used a promotion code that isn't one you have arranged or a gift voucher don't panic. You will receive the full order value (less our fee of course) We occasionally run targeted promotions but when we do we cover the cost. You will see the full and correct money owed to you in your Account Balance once the order has been dispatched. The order will confirm the date the order is due for delivery based on the shipping option the customer chose. Unless the order is clearly flagged as an Advance Order (see below) the aim is to ship asap and ideally surpass these expectations. On checkout customers can choose to order for a future date later than your usual delivery timescales e.g. for a particular event or birthday. Customers are advised these aren't guaranteed delivery dates and to allow at least 2 days leeway. These orders will be clearly flagged as Advance Orders, the delivery date will show you their requested date and you will find these orders on a dedicated advance orders list. Unlike regular orders you are asked to hold delivery until a later date to coincide with the requested delivery date as close as possible (and no later). Make sure to include the Yumbles packing slip in your order - it has a Yumbles funded discount voucher to encourage a repeat order. (Also don't include in the order any material directing Yumbles customers to your own website). See our tips for packaging up your orders. On the day it's shipped make sure to update the order status to Dispatched so that the customer knows it's on it's way. If you have a tracking code you can send that to your customer using the "Contact Customer" within the order details.